Lockheed Martin has published a surprising list of all the stuff that flew to space in the first Orion test. 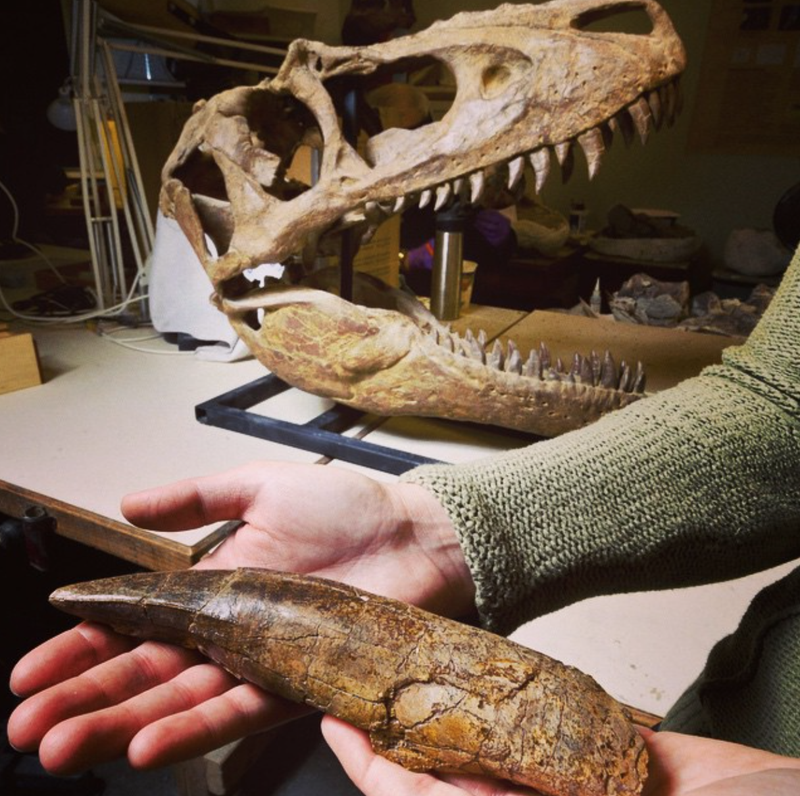 You are looking at one of the items: A Tyrannosaurus Rex's tooth fossil sent by the Denver Museum of Nature and Science. Here's another one: A Cookie Monster's cookie and Ernie's original rubber duckie. A small lunar soil sample retrieved by the Apollo 11 crew on July 21, 1969. Actress Claudia Wells' "Back to the Future" autographed photos and Delorean model that are packed on Orion for EFT-1. William Shatner's Orion ticket and a Kirk figurine donated by the actor. * That we know of. Maybe some dinosaurs were smart and left the planet in spaceships before the asteroid hit.